Another ongoing farm project is replacing all the windows in the house. My brothers and brother-in-law all foolishly graciously agreed to spend an upcoming weekend helping me get a batch of them installed before the snow files. 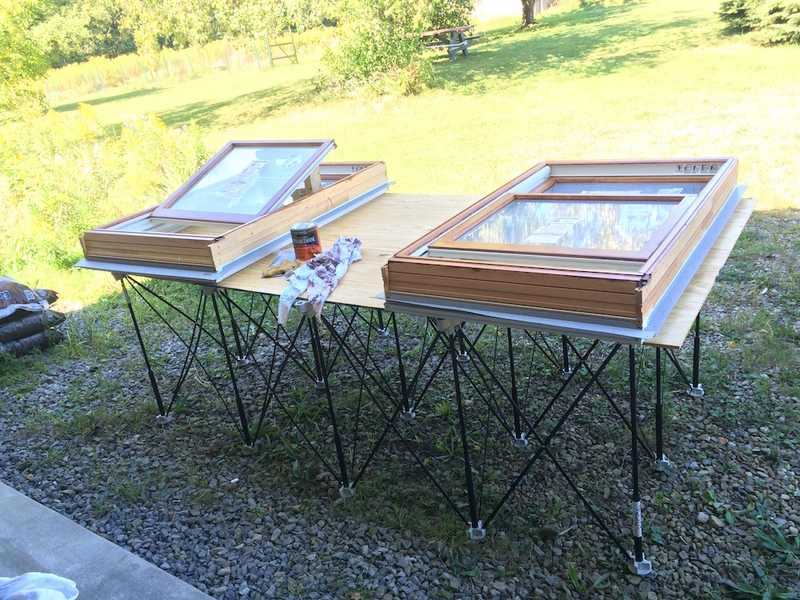 We bought the windows with unfinished interiors, so we could stain them to match the woodwork I was putting in. Now the pressure was on to get them stained and polyurethaned prior to the commencement of Bro Fest. My wife has had the thankless task of doing most of that staining and sealing. When she saw how useful the Centipede Support XL was for my cutting project, she “Mine nowed” it to be her personal staining station. We first set it up outdoors, which was ideal because it allows the nasty odors to dissipate. On our next “fun weekend at the farm,” it was much cooler, so we set the platform up upstairs. When the temps hit the 40’s, the stain station moved indoors. The centipede Support XL made it much easier for her to get her work done. When using regular sawhorses, there was never a place to set the brushes, cans of stain and polyurethane, rags, etc. The 4’x8’ surface of the Centipede had room for all that, plus two windows at a time. This made her very happy, which is, of course, my primary goal in life. (She doesn’t often read these, but you never know…). They also offer several accessories, including hanging hooks, soft surface no-slip pads, worktop height extensions, hold-down clamps, and extra X-Cups (the drop-in 2×4 supports). 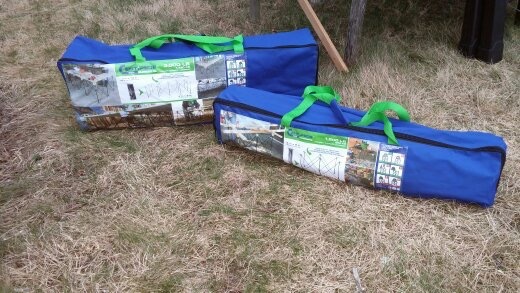 The Centipede Support XL is truly an innovative product. It helps me stay organized – an area where I definitely need help – by letting me keep everything in one spot. There’s plenty of room to keep a drill, impact driver, circ saw and Sawzall, and lots of other tools, miscellaneous fasteners and other supplies, in a central location. And there’s room to spare for the miter saw. The line of Centipede products has obvious appeal to contractors and DIYers. Think about it, though, and I bet you can come up with a lot of other uses for them. 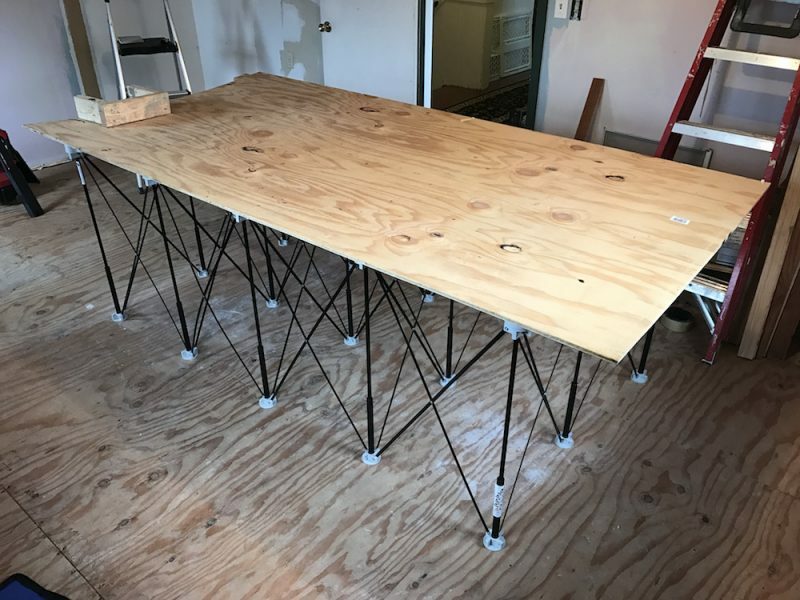 They’d be great for anyone who sells at flea markets, craft shows, or farmer’s markets, tailgaters, garage sales, a place to set out food at cookouts or parties, or a temporary storage area or work surface. My son already called dibs on it for his annual neighborhood block party. Very handy tool. Amazing how light it all is and how easy it was to set up and work with. Our lead carpenter Doug who helped me out with the kitchen work noted in this article went shortly afterwards to purchase one for himself. 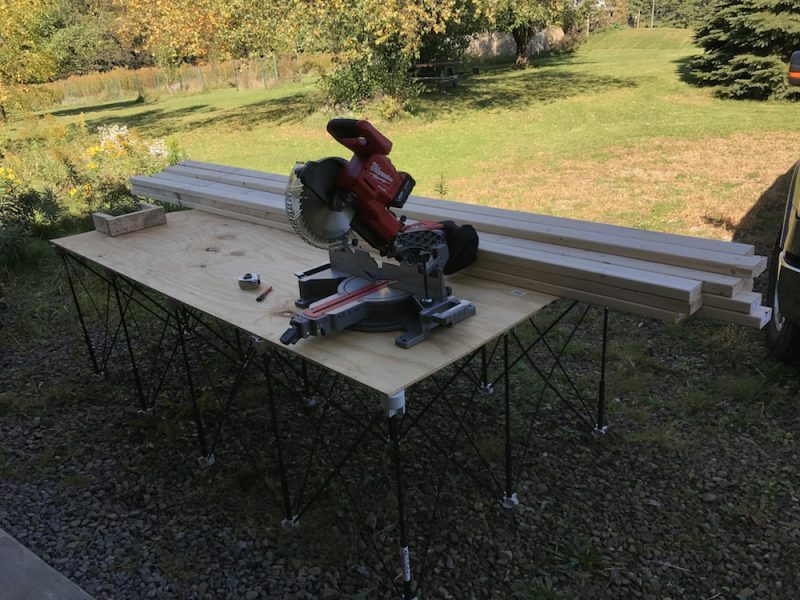 A lot smaller to store and a lot more uses than standard sawhorses…a big help for folks who carry all their tools with them from job to job in their truck at all times. Agreed. I have the small Centipede and the full-sized one, and they both get regular usage.